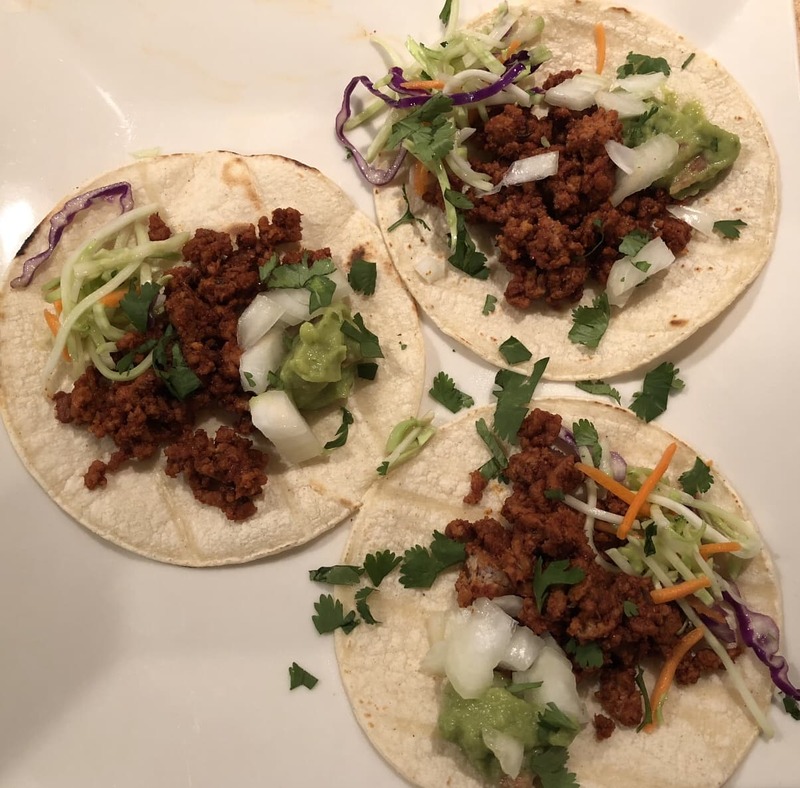 This couldn’t be easier, and makes for weeknight taco magic! Put large skillet over medium heat. Brown turkey in a bit of your favorite sauté oil, 5-6 minutes. Add red wine vinegar. Stir for a minute to combine.